It's march and spring is near! 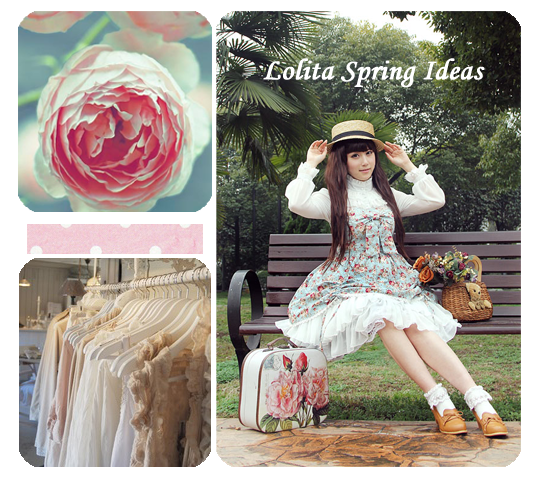 Many Lolitas see spring as the best season to wear the fashion as it is neither too hot nor too cold for all the layers. Go for pale colours in you coordinates. Fresh, light colours fit perfectly into spring. Add flowers to your outfits. Either as a print or as accessory. Make sure you own enough cardigans to match with your outfits for this season. Do a special themed outfit for Easter. Take walks in a local park. If the sun is very strong bring a parasol with you. Pick flowers, press them and add them to your scrapbook. Do a spring clean! Sort out your wardrobe and add new decoration to your room. Take outfit pictures outside with blooming flowers and fields in the background.